Hypothyroidism and Joint Pain: A Clear Connection | Crank It! 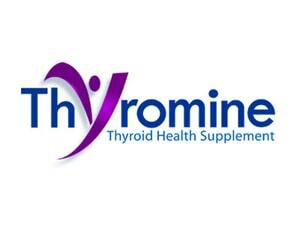 Unfortunately having hypothyroidism, particularly the most common type, increases your chances of developing other types of autoimmune conditions, particularly rheumatoid arthritis. In fact, although science doesn’t exactly know why, RA and hypothyroidism often go hand in glove. Therefore, some joint pain experienced with hypothyroidism may be caused by one of these other conditions, particularly RA. How Are Hypothyroidism And Joint Pain Related? 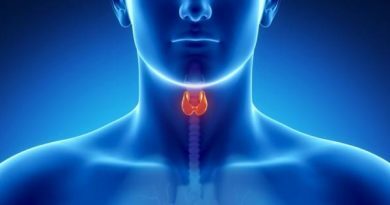 As we’ve mentioned in other articles, thyroid hormones play a role at some point in many bodily functions. From metabolism to heart function, your lungs, your reproductive system and more – malfunctions in the thyroid gland have the potential to severely disrupt these systems. Indeed, science is continually discovering more and more ways in which thyroid dysfunction affects other organs and processes. They’re also finding more evidence that hypothyroidism and joint pain are related. It’s also been noted that painful joints can appear with hypothyroidism without there being any underlying joint disease. In these cases, thyroid treatment should largely resolve the joint pain. If you’re receiving medical treatment for hypothyroidism and it doesn’t improve your muscle and joint pain, chances are they’re caused by something else. Other side effects of hypothyroidism, such as weight gain, can also put pressure on joints, resulting in increased chances of developing associated joint problems. Treating joint pain with regular pain killers like ibuprofen and acetaminophen will help reduce inflammation and the pain associated with this. However, if the joint problems are being caused by hypothyroidism, the only really effective way to cure it is by treating the underlying condition with thyroid replacement therapy. The most common form of hypothyroidism is classed as an autoimmune disease and autoimmune diseases tend to ‘hunt in packs’. Rheumatoid arthritis and hypothyroidism in particular like to hang out together, as we’ve mentioned previously! Generally speaking, if you have one you stand a far greater chance of developing the other one, particularly if the original is not diagnosed and treated fairly early. Determining which one is actually causing your joint pain is a process of elimination. Thyroid treatment will resolve joint pain caused directly by hypothyroidism but RA treatment requires different treatment.